MashButtons: Squenix is buying Lara Croft! 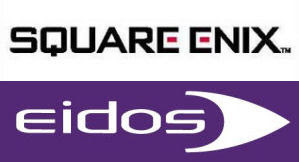 In a not so surprising move, Square Enix has been given the green light on their buyout of Eidos. In a meeting today, over 85% of the shareholders accepted the bid offered by Square Enix at 32 pence per share. Personally, I find it a little interesting that the Final Fantasy house, will take over the Tomb Raider, and Hitman franchises (to name the biggest hits). Will a Japanese Publisher be able to improve on these games with such an established legacy? Or will they start by giving Lara some spiky hair? All joking aside, this is actually good news for fans, as too many developers have had to close their doors as of late, and that doesn't help any of us.